Analyze This: Bengals Ramp Up Crunched Numbers - THE BENGALS FORUM - For Bengals Fans *Only* - Go-Bengals.com - The Best Bengals Fan Community in the World! The captains of crunch: Jake Kiser (left) with his analytics team of Sam Francis (middle) and Tyler Gross. A few weeks ago Zac Taylor rounded out the biggest coaching staff in club history. 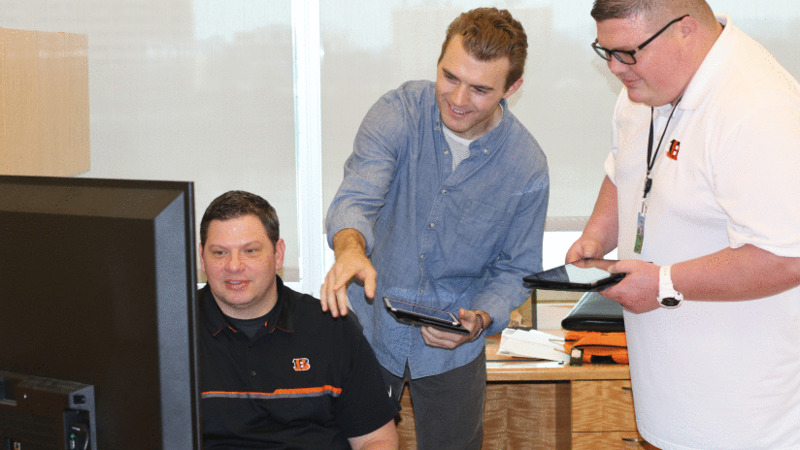 And Jake Kiser, the Bengals’ senior director of technology, is keeping pace with his own mushrooming I.T. department. Together they’re unveiling an expanding spread sheet meeting on the NFL’s new battlefield of analytics. The idea isn’t foreign to Taylor or the Bengals. Taylor, the new 35-year-old head coach, comes from a Rams organization known for being on top of the data game and he’s arrived in a building where during the last couple of seasons Kiser and his team have been crafting a framework humming toward automation. Taylor’s hire, along with much of a staff that cut its teeth in coaching during the software boom, intersects with the growing maturity of the system and makes for a perfect storm when it comes to crunching numbers at Paul Brown Stadium. The previous staff headed up by Marvin Lewis also embraced the tech world, but now they’re running the 40 instead of gassers with the recent hiring of football analyst Sam Francis supplementing the work of Kiser and application developer Tyler Gross. Last year while beefing up director of player personnel Duke Tobin’s data base for pro and college prospects, Kiser and Gross also transformed the on-field information into automation (instead of the coaches gathering it from elsewhere) and married it to the team’s video platform. Enter Francis, 23, an under-the-radar free agent from Foxboro and the Kraft Analytics Group, a consulting company geared to sports and entertainment that sprung out of the technology built for the Kraft family-owned New England Patriots. One of his projects for the outfit, which is housed about a Brady-to Gronk screen pass from Gillette Stadium, studied NFL ticketing. Now he’s just the ticket for the coaches in his goal to work some calendar karma and pour ten days of preparation into six. When Kiser went scouting last year to re-invent the technology department with captains of crunch, he found himself in the same predicament as Tobin. He sought rarity. He didn’t want coaches that played with computers on the side and he didn’t want software folks that just won their fantasy football leagues. He felt he needed to find people that not only knew the inside of a network, but also what an inside zone looks like. 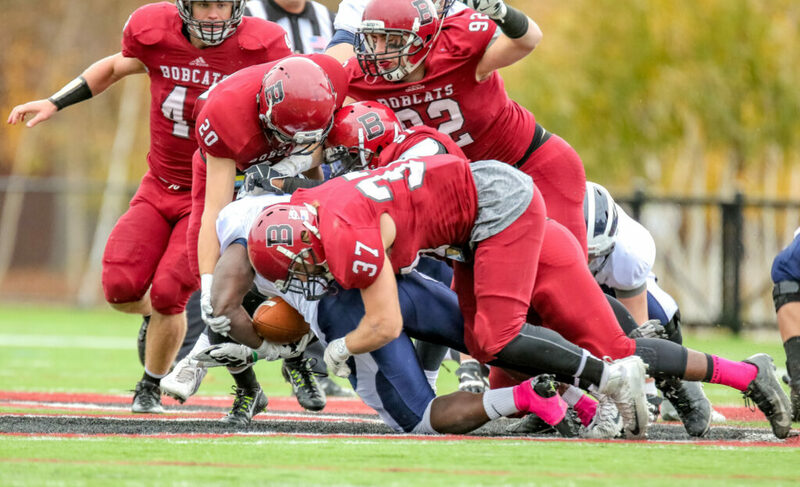 He found Francis in New England, a suburban Boston native who played Division III football at Maine’s Bates College, where he helped shepherd the defense’s calls as a linebacker and safety through a big win against Bowdoin (think DePauw-Wabash without the bell) during his career. He found Gross right at home. After centering Georgetown College to the NAIA semis while majoring in technology and information sciences, Gross moonlights as the offensive line coach for Northern Kentucky high school power Covington Catholic. Kiser even has the Bengal Tiger leaping over his numbers. After tearing his ACL in the final three minutes of Newburyport High’s annual Thanksgiving Day game with Amesbury on Massachusetts’ North Shore, Francis went to Bates to major in math and economics, but he wants to bring to this think tank room to debate the numbers. Francis says he’s here to “provoke thought,” among the coaches. Zac Taylor will take a number or two if it helps. Taylor has made attention to detail one of his early cornerstones and he must love these guys because they’ll be able to tell him things like the percentages of a team running a play when the running back is lined up at a specific spot with exactly how many yards he’s from the hash, the line of scrimmage, the state line, whatever you need. Not only that, through automation they can cull all the clips of that running back at a specific depth so for every play they know how deep he is from, say, the line of scrimmage. If he runs that play, it is attached to the video platform and the analysts can pull those plays for the coaches. No longer do the coaches have to spend time scrolling through each and every play hunting for the tendencies and nuances of the play. They can get exactly what they need by searching for it because it’s already been logged and tagged. 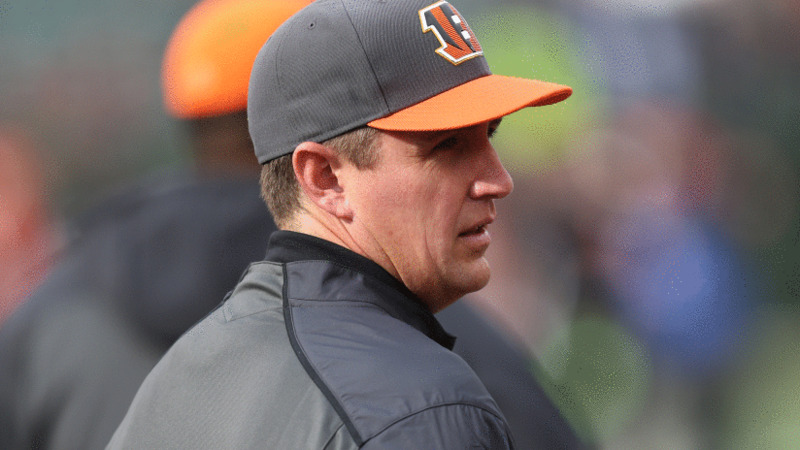 As the automation continued to spring to life, Kiser had more than a passing interest in the Bengals’ search for a head coach. He’d had a good experience with the curious and bright Lewis, an analytics sympathizer. But would the next man throw his hands up at the numbers or embrace them? Taylor, an admitted “Just Win Guy,” has told Kiser to keep bringing it. “I couldn’t have asked it to work out any better. All these guys have embraced it,” Kiser says. Everyone knew when they hired Taylor, born the year Bengals radio analyst Dave Lapham took his last snap in Cincinnati, a generational wave would sweep the coaching floor. But Kiser says it really hit home to him when they started getting the thirtysomething staff hooked up to the network. And the oldest guys on the staff, like 65-year-old senior defensive assistant Mark Duffner, have been in the league long enough that they could be honorary millennials for their computer work. But there is a big range here. Duffner, a Woody Hayes grad assistant in the mid-1970s, remembers when college teams had film coaches whose jobs were to drive to a meeting point and exchange film with the opposition. (The Maine Turnpike toll booths were big back in the day for that.) He was pulling 16 mm film out of canisters to scout games and 8 mm to scout high school prospects. Then there is 26-year-old offensive assistant Brad Kragthorpe, an analyst at LSU last season who grew up in the Super Mario ‘90s. But that’s going to have to wait. March Madness for coaches means they’re on the road at workouts for college prospects and it’s hard to find one in front of their computers. “They’re all over the place,” Francis says. Numbers can’t take care of everything. Yes please, drag this organization kicking and screaming into the 21st century. Former Bobcats football and lacrosse player has made it to the NFL thanks to his analytics acumen. Who knew that tailgating could lead to a job in the NFL? The odds are certainly low, but, then again, Sam Francis has always been good with numbers. He did need a little bit of luck to break into professional football, but now the Football Data Analyst for the Cincinnati Bengals is trying to take the guessing game out of new head coach Zac Taylor’s game preparation. 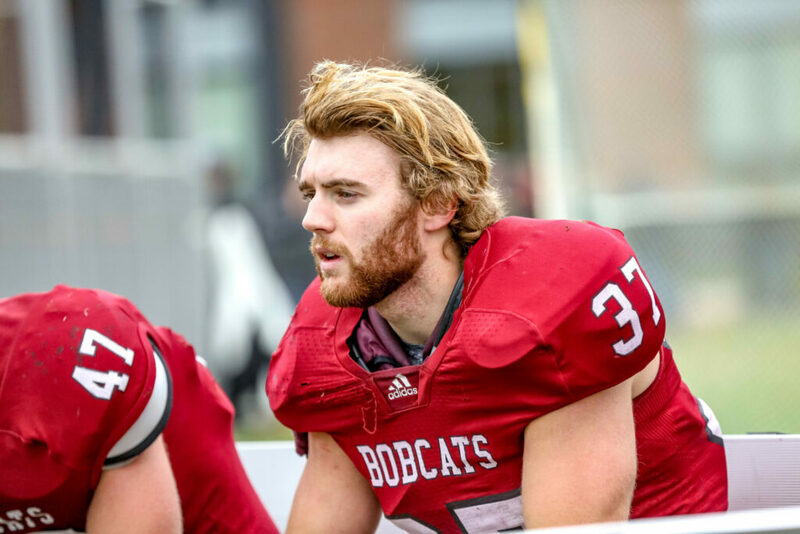 Francis, a 2017 graduate of Bates College from Newburyport, Massachusetts, who played both football and lacrosse for the Bobcats, said “a little Bates connection” got him started on his journey from the Lewiston campus to Paul Brown Stadium. Francis received an internship with the Bills. Initially, it was supposed to deal with business analytics, but when new head coach Sean McDermott came on board he pulled Francis onto the football side of things. Francis went into that internship already having experience breaking down film. Francis said his role with the Bengals will be similar to what he did in Buffalo, where he stayed for the summer of 2017. Then came a career stop with another NFL connection. Francis took a job with the Kraft Analytics Group in Foxborough, Massachusetts, which is under the umbrella of New England Patriots owner Robert Kraft. That opportunity also came through a Bates connection. Francis reached out to 2001 graduate Jonathan Fador (another dual-sport athlete in football and lacrosse), who had worked for parent company the Kraft Group, about getting a job for the analytics business. Francis had looked into the Kraft Analytics Group before his Bills internship, but finally got in after his time in Buffalo. “It was a good experience, but it was on the business side, and that sort of made me realize my passion for wanting to be on the sports side, which is sort of how I ended up in Cincinnati,” Francis said. Speed shouldn’t be an issue for Francis, especially when it comes to the mental side of the game. Francis double-majored in math and economics at Bates, and he was able to juggle both academics and athletics. He won a Stephen B. Ritter Academic Award (top 10 cumulative GPA for the football program) as a junior, and as a senior he was named to the National Football Foundation’s Hampshire Honor Society for scholar-athlete recognition. Sam was no slouch on the field, either. He played in four of the Bobcats’ eight games as a freshman, then seven of eight as a sophomore. Francis started all eight games at linebacker in both his junior and his senior seasons. He was third on the team in tackles as a junior, with 49, and fourth, with 51, as a senior. He finished his career with 110 total tackles, 3.5 sacks and two forced fumbles, and as a senior he was given Bates’ Alan C. Goddard Award for career improvement. “He picked it up really quick, and he got into the lineup relatively early in his career,” Capone said. “But he really came into his own as he matured physically in his junior and senior year, and he really made an impact on our defense. 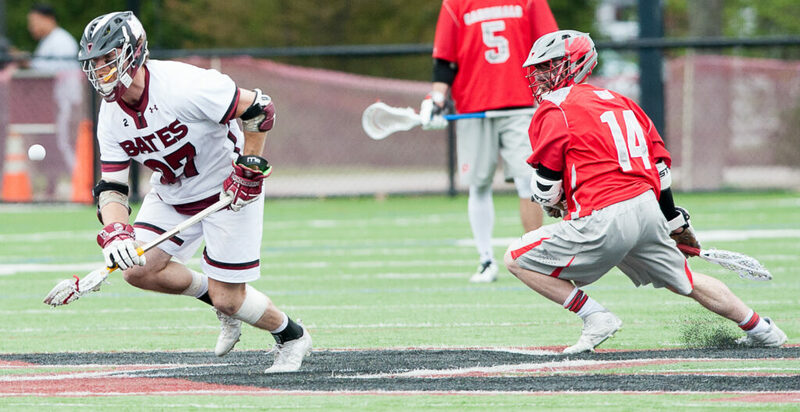 Bates went 7-1 against rivals Bowdoin and Colby during his career, the lone loss during his freshman campaign. As a senior, he had forced fumbles against both rivals. Later in his career, it was Francis’ job to help line up the defense from his linebacker spot. Harriman, who was also Francis’s linebackers coach, said Francis had a “special” ability to get all three levels of the defense lined up, and he didn’t realize how “impactful” that ability was until Francis had graduated. Now it will be Francis’ job to help the Bengals make that process a little easier for defensive signal-callers. Francis said he’s long had a passion for analytics, and it wasn’t until his time at Bates that he realized the sports involvement with number-crunching was an even stronger love. Francis’ tireless pursuit of the right answer is matched with the work ethic he had on the field. A Bates football player making it to the NFL isn’t unprecedented, at least off the field. Francis is following in the footsteps of former Bobcats quarterback and 2000 graduate Matt Bazirgan worked in the New York Jets’ scouting and pro personnel department for 14 years before becoming the Houston Texans’ director of player personnel in 2018. Still, even Francis has some disbelief that he has made it to where he has since his NCAA Division III athletic career ended. 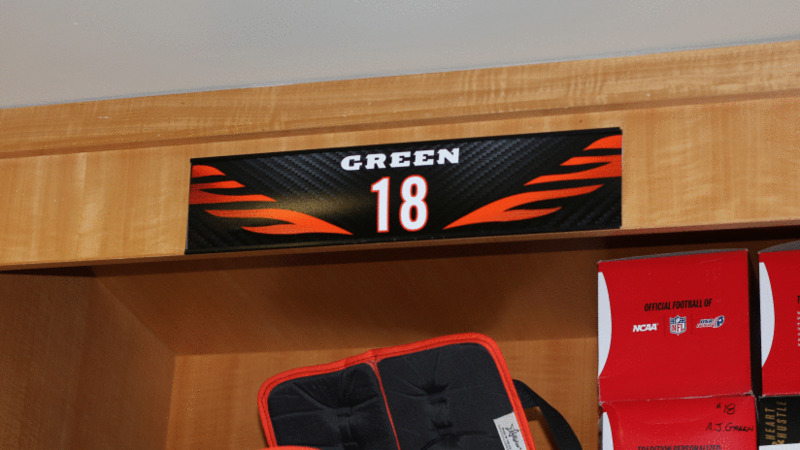 New nameplates are just one of the many changes the Bengals will see next week in their work space. Because they’ve got a new head coach, the Bengals could have started their off-season program on Monday. 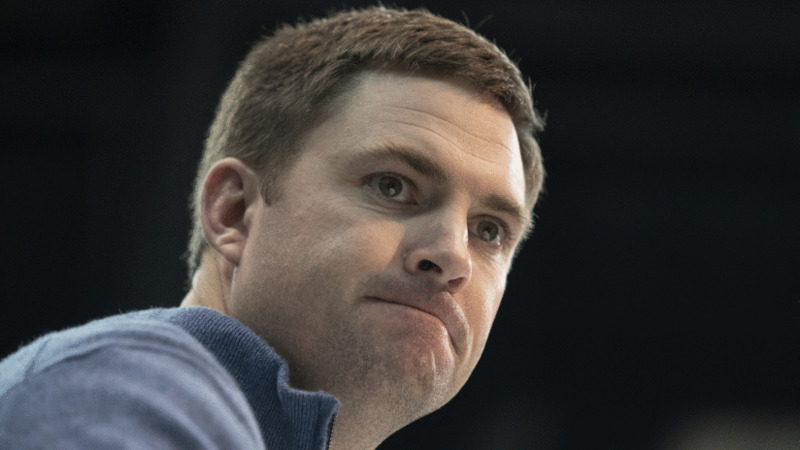 But new head coach Zac Taylor has a plan, which is why it starts April 9. The plan has already been in motion for two months, ever since the Bengals signed Taylor the day after Super Bowl. That was a month before they spent in free agency when the club committed about $1 million to Taylor’s vision of a renovated Paul Brown Stadium workplace he wants to reflect his culture. When the players show up on the ninth, the walls plan to tell them before Taylor does that a new era is under way. Brickner, who still has the work ethic of growing up on a farm, has noticed Taylor’s change-in-the-wind eye for detail. It ranges from small (how the new locker room nameplates and the other signs match the lettering in other parts of the stadium) to big (how he wants the players’ locker room entrance to set a tone) and how it fits together. With apologies to Hemingway, it’s a clean, well-lighted place. Well, it’s always been clean. But since the locker room and the coaches are in the basement, it can be dim. Taylor covets light. Light means energy. Light can also symbolize no gray in communication. That’s a big part of Taylor’s message that seems to also emphasize pride in the logo, the brand and the history. So the lightning quick crew from the four-generation downtown Cincinnati construction company of JDL Warm figures to get it all wrapped in a bow by early May. “Those guys are machines,” Brickner says. 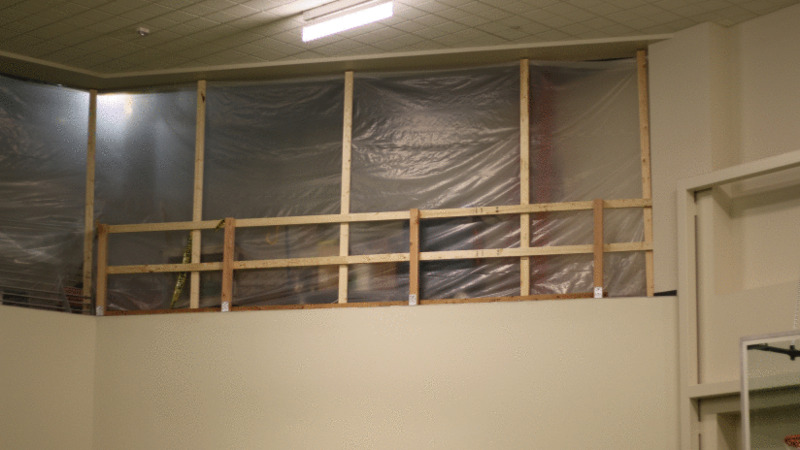 The catwalk above the weight room is shrouded in construction. Upstairs on the mezzanine level that houses the largest coaching staff in Bengals history are seven new offices as well as two new viewing rooms for each offense and defense, as well as remodeled copier and coffee rooms. Downstairs the players get to the locker room through the same hallway that passes by the cafeteria and television studio, but the corridor is going to be flooded by more lighting, images of franchise greats and a wall with four 48-inch television screens. At the entrance of the opposite end of the locker room the plan is to have a wall with quote from Bengals founder Paul Brown and that’s not very surprising. 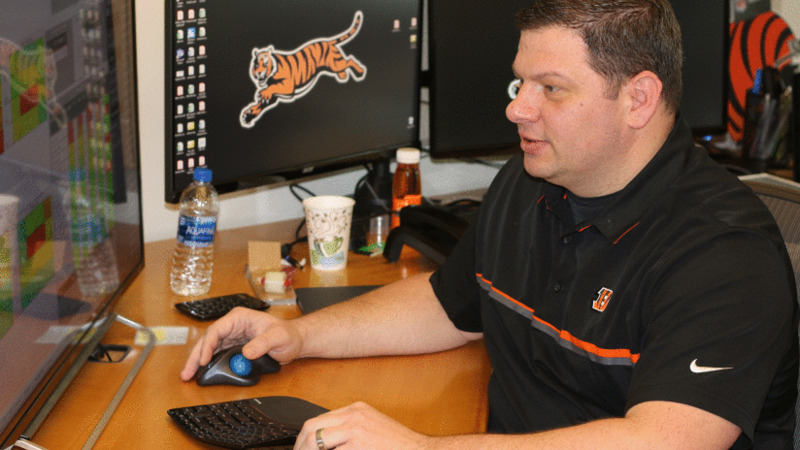 Taylor has already hung a painting of Brown on the Bengals sideline in his office’s re-modeled anteroom that features an added row of lights above the desk of Taylor’s assistant, Doug Rosfeld. There’ll also be new signage in the weight room, where the biggest change is on the floor with the new turf field Taylor had installed to match the markings he wants for various on-field activities. There’s also the catwalk upstairs that leads to the coaches. Now it’s going to be filled with three coaching offices and a viewing room that has whatever the players need to watch film. Like Brickner said. The man has a plan. That’s what the walls, say, too.